Direct access to consultancy on a range of services and products. TECH-OLOGY’s team will manage the full project lifecycle for your IT infrastructure projects, regardless of their location or number of simultaneous deployments. We start every deployment by collaboration, working with you to understand your objectives, then plan, procure, install, commission and finally hand over a fully tested system. We handle all the details, such as organising logistics, ensuring all project participants are insured correctly, understanding local installation codes and ensuring legal compliance throughout. Delegating the delivery of your projects to TECH-OLOGY instantly removes the stress and time of dealing directly with multiple vendors and suppliers; however, we recognize that project owners should be able to retain control and to enable this, we appoint an experienced IT infrastructure project manager as your single point of contact to bring your project home on time, to budget and to agreed quality expectations. TECH-OLOGY supports your business with technical expertise, for as much or as little of your IT infrastructure development programme as you require. 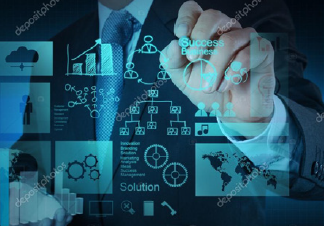 TECH-OLOGY’s Project Deployment Methodology (PDM) innovates the delivery of business IT infrastructure projects by providing a truly tailored, transparent project planning and management environment that addresses the specific issues of project complexity.